Lent: a season of grief, of grace, of peace. On Ash Wednesday in 2008, I answered my cell phone beneath the vaulted ceiling of a seminary hallway. My dad was calling to say that my mom, who had ovarian cancer, was in her final days. Two hours later I was at the airport. I touched the ashes on my forehead as I boarded the plane. In my mom’s south-facing bedroom, one sun-soaked day stretched into two, one quiet week became four, then six. A few days in, I emailed the school registrar and requested a leave of absence. During those weeks, my mother was nearly always quiet. I fed and bathed her in companionable silence. I read as she rested next to me. I stacked medical bills on her desk, offered medicine, showed her the cards that arrived in the mail. At seminary, I’d been told that my mom might want to have an important end of life conversation. I came ready to help her let go. When I arrived, I discovered that she didn’t want to talk much. She didn’t want to have meaningful or theological conversations. She just wanted to be together. After a few weeks by her side, I left for a weekend so that my brother and I could bury my mother’s 86 year old mother, who had died in a nursing home hundreds of miles away. When I returned to my parents’ home, we fell back into our peaceful rhythm: naps, books, the occasional doctor’s appointment, a few bites of a meal, arranging and enjoying flowers sent by friends. Lent comes from an Anglo-Saxon word that means, “to lengthen.” During those days, I received the gift of quiet and extended time by my mother’s side. During Holy Week, members of our family took turns keeping vigil with my mom. Hours passed and one or another of us slipped out to take a walk or go to church or get coffee. Photo credit: Wayne Cherry. Used by permission. I sat in the chair by her bed on Easter Sunday morning and listened to the irregularity of her breathing, straining to hear each next breath. In the early hours of Easter Monday morning, on March 24, my mom died while I was still asleep. Just under a year later on March 23, I was back in school and up early, working on an essay. Persistent abdominal pain pushed me away from my computer and into my midwife’s office. Within the hour, I was trembling with fear in a hospital bed. My son was being delivered prematurely under the bright surgical lights of an operating room. One of the doctors asked his name, and I could hardly say, “Isaac…it means laughter,” before a nurse whisked him away to the neonatal ICU. I didn’t get to hold him. Emerging from the fog of surgery in that same hospital bed a few hours later, I saw a beautiful blue hydrangea plant on my bedside table. A neighbor noticed that it had been delivered to our house and brought it to the hospital. I was stunned. Who had known that I would have a baby that day? Who had known to send flowers? 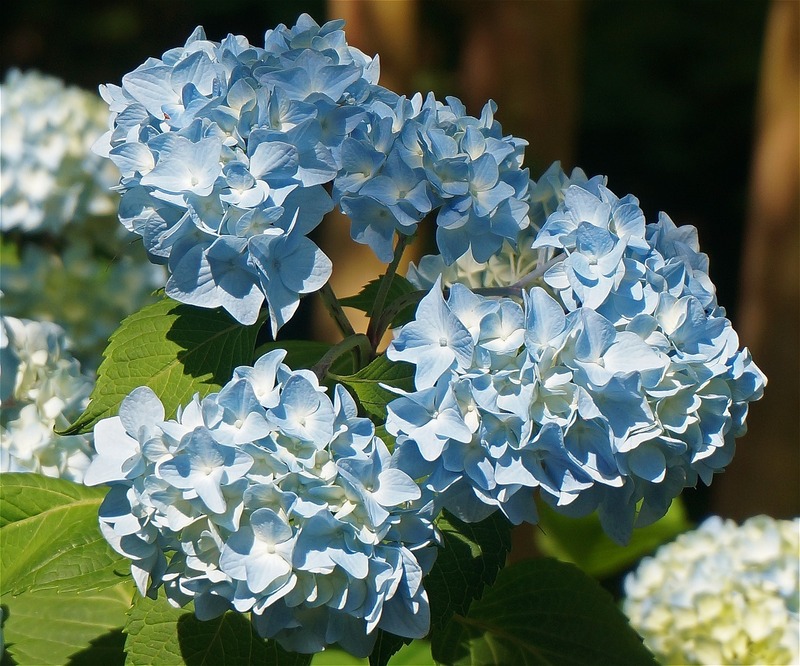 Photo credit: Pixabay [https://pixabay.com/en/hydrangea-trio-hydrangea-blossom-1427393/], public domain. When I see potted hydrangeas, I think of Easter. In the churches of my childhood, blue and pink hydrangea tufts swayed alongside Easter lilies to herald the resurrection. Pushing up the sleeve of my hospital gown, I reached over and opened the card. The message read: “remembering your mother today.” The tears I had held back all morning began to flow. I wasn’t the only one who was grieving. Someone else saw me welcoming a son and becoming a mother without my mother to guide me. When I remember my mom now, I think of the gift of my son’s life, and also of blue hydrangeas. Nine years ago, Lent carried the gift of long, quiet days with my mother. Since then, I’ve experienced that drawn out sense of time and contentment only when caring for my newborn children. In the early months of their lives, my days and nights seemed to stretch, lengthen and grow more beautiful. Before my mom died, I faced Lent with a kind of calculated resolve. Now the season opens up differently for me, into a sort of invitation. This year on Ash Wednesday, my children and I dug fresh worm castings into soil as we planted our indoor garden’s raised bed. We laughed while worms wriggled through our fingers. Seeds spilled into soil and onto the floor. With snow piled up at the sliding glass door, we were excited to anticipate the gift of green growing things. That Wednesday, I also started to dream up my annual list of gifts. At least once during each week of Lent, I give myself permission to buy or make for a friend a gift that I would otherwise dismiss as extravagant or impractical or inefficient. These gifts (a plant, a poem, a mug, a meal) are signs of life for me. They lengthen the days of a season that I now know to be filled with beauty and peace, as well as with grief. How might you lengthen this season to experience life more fully? Thank you. A beautiful evocation and remembrance of those sacred timet. I remembered my own mother,s three weeks in hospice, the grace-filled moments within that, how time both stretched and rushed. And too my own babies, each of their first few weeks a long babymoon during which nothing could interrupt the bliss between us. My third was born at the end of March, and watching the earth wake up outside my window while she began to wake up in her body was tremendous. 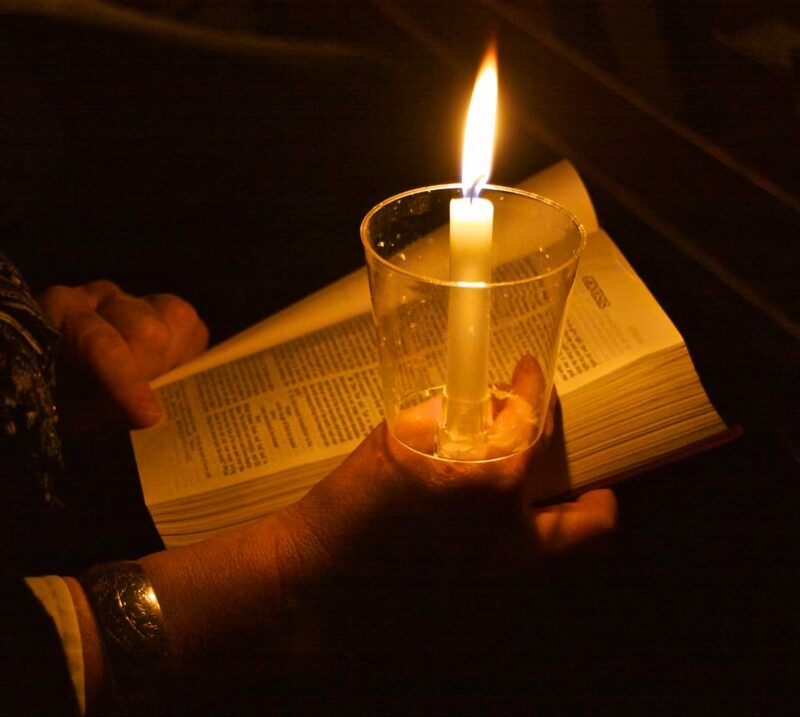 I appreciate very much the invitation to bring the presence of new life and impending death, and the gentleness of those days and weeks, to Lent. Thank you. What a beautifully written story of grace and hope. Thank you! Lovely, Wren. I did not know that Lent meant “to lengthen”. In my own period of grieving, your words resonated with my own experience of my mother’s recent passing. I am devoting the 40 days to her. Thank you for sharing your heartfelt message. You have blessed me…and I am sure many others today! Thank you so much for sharing this with us! I was very moved! I shall read it often over the coming weeks. Beautiful and so richly true. Thank you, Wren. Wren, what a lovely gift this essay is to me. And it was good to “hear” your voice again. Such a beautiful message, remembering your loving, caring mother. She was a special friend and is still missed by many. She would be so proud of your boys and your accomplishments. Thank you for your words. Thank you, Wren. I sure do miss having you and your boys close by, but am grateful for your wise and gentle presence in print, if not in person.